What percentage of the Jewish People died during the plague of darkness? Why did the oath that Yosef administered to his brothers apply to Moshe's generation? Why did the Egyptians want to pursue the Jewish People? Where did the Egyptians get animals to pull their chariots? What does it mean that the Jewish People "took hold of their fathers' craft" (tafsu umnut avotam )? How did G-d cause the wheels of the Egyptian chariots to fall off? Why were the dead Egyptians cast out of the sea? To what future time is the verse hinting when it uses the future tense of "Then Moshe and Bnei Yisrael will sing"? Why are the Egyptians compared to stone, lead, and straw? The princes of Edom and Moav had nothing to fear from the Jewish People. Why, then, were they "confused and gripped with trembling"? Moshe foretold that he would not enter the Land of Israel. Which word in the parsha indicates this? Why is Miriam referred to as "Aharon's sister" and not as "Moshe's sister"? The Jewish women trusted that G-d would grant the Jewish People a miraculous victory over the Egyptians. How do we see this? Which sections of the Torah did the Jewish People receive at Marah? 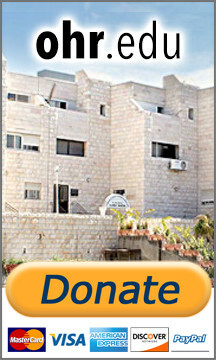 When did Bnei Yisrael run out of food? What lesson in derech eretz concerning the eating of meat is taught in this week's Parsha? How did non-Jews experience the taste of the manna? The Prophet Yirmiyahu showed the Jewish People a jar of manna prepared in the time of Moshe. Why? Which verse in this week's parsha alludes to the plague of blood? Why did Moshe's hands become heavy during the war against Amalek? 13:18 - Eighty percent (four-fifths). 13:19 - Yosef made his brothers swear that they would make their children swear. 14:5 - To regain their wealth. 14:7 - From those Egyptians who feared the word of G-d and kept their animals inside during the plagues. 14:10 - They cried out to G-d.
14:25 - He melted them with fire. 14:30 - So that the Jewish People would see the destruction of the Egyptians and be assured of no further pursuit. 15:1 - Resurrection of the dead during the time of mashiach . 15:5 - The wickedest ones floated like straw, dying slowly. The average ones suffered less, sinking like stone. Those still more righteous sunk like lead, dying immediately. 15:14 - They felt horrible seeing Israel in a state of glory. 15:17 - "T'vi-aimo ..." -- "Bring them" (and not "bring us"). 15:20 - They brought musical instruments with them in preparation for the miraculous victory celebration. 15:25 - Shabbat, Red Heifer, Judicial Laws. 16:1 - 15th of Iyar. 16:8 - One should not eat meat to the point of satiety. 16:21 - The sun melted whatever manna remained in the fields. This flowed into streams from which animals drank. Whoever ate these animals tasted manna. 16:32 - The people claimed they couldn't study Torah because they were too busy earning a livelihood. Yirmiyahu showed them the manna saying: "If you study Torah, G-d will provide for you just as he provided for your ancestors in the desert." 17:5 - "And your staff with which you smote the river...."
17:12 - Because he was remiss in his duty, since he, not Yehoshua, should have led the battle.